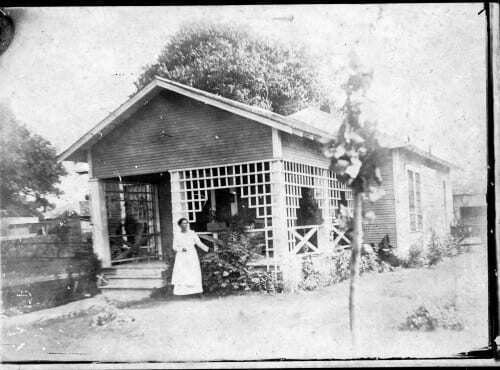 Unidentified African-American woman on porch of home, undated. Courtesy Dallas Historical Society. Used by permission. Part of collection of late nineteenth/early twentieth century photographs and postcards. “Unidentified woman on porch.” V.86.50.641. Courtesy Dallas Historical Society. Used by permission.